Located to the west of our Frenchay Campus, Wallscourt Park is an excellent choice if you want to be on site, within easy reach of everything the campus has to offer. 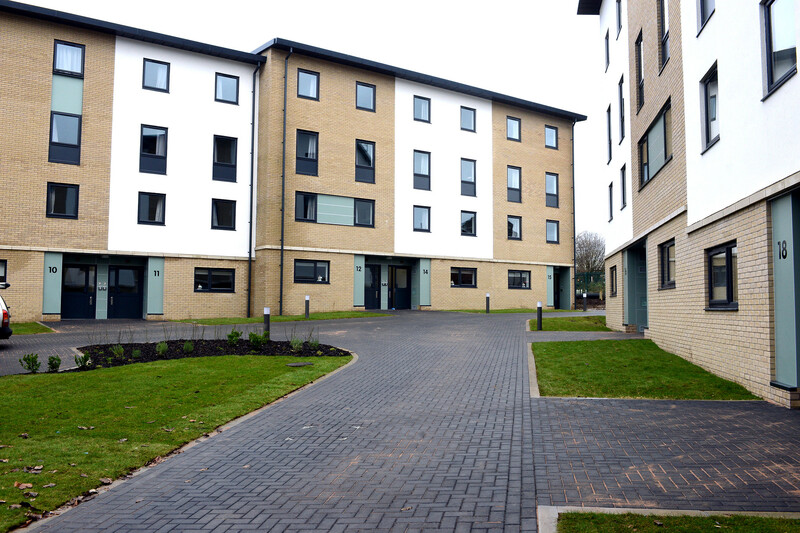 With a mix of townhouses and flats with shared shower room facilities, or en-suite flats and studios available, you’ll have your own room and shared living space – and be a stone’s throw away from Frenchay Campus facilities, including the library, Students’ Union and Centre for Sport. To live in a shared place but still get the benefits of university accommodation (like security and use of a common room and pool table). Four-foot bed, wardrobe, desk, chair, bookshelves, bedside cabinet, mirror. En-suite shower room in en-suite flats. Townhouses and flats - shared shower room, downstairs toilet. Living area with table, chairs, sofas and TV . Other features Customer service desk, onsite staff to help with any issues during office hours, CCTV, common room with pool table. Wallscourt Park, UWE Bristol, Coldharbour Lane, Frenchay, Bristol, BS16 1ZU. If you'd like to make Wallscourt Park your new home, find out how and when to apply.